The ill-fated Burke and Wills expedition is a remarkable story of exploration, tragedy and survival in the country’s remote interior. Retrace their arduous journey from the comfort of your car and caravan, and you’ll experience quiet riverside camps shaded by eucalypts, the rich reds of the desert and the timeless, isolated landscapes the men traversed. Bad roads, heavy rains and unreliable wagons made the trip extremely slow-moving, which frustrated Burke. On 15 September at Balranald, Burke decided to lighten the load by leaving behind their lime juice, sugar, and some of their guns and ammunition. Today, roads are a little better and there are many routes to choose from through expedition stops such as Lancefield and Mia Mia. Located on the banks of the Darling River, Menindee is the oldest European settlement in New South Wales. The town is brimming with history and natural beauty; here, you can visit the second-oldest pub in New South Wales, the Maidens Menindee Hotel, where Burke and Wills stayed on their journey north. Explore the Kinchega National Park and the remnants of Kinchega Homestead. In its day, Kinchega managed more than 100,000 sheep. Here, you can learn about the intriguing stories of outback living in the 1870s. Burke reached Cooper Creek on 11 November 1860, located on current-day Nappa Merrie Station near the border of Queensland and South Australia, in the Bulloo Shire. 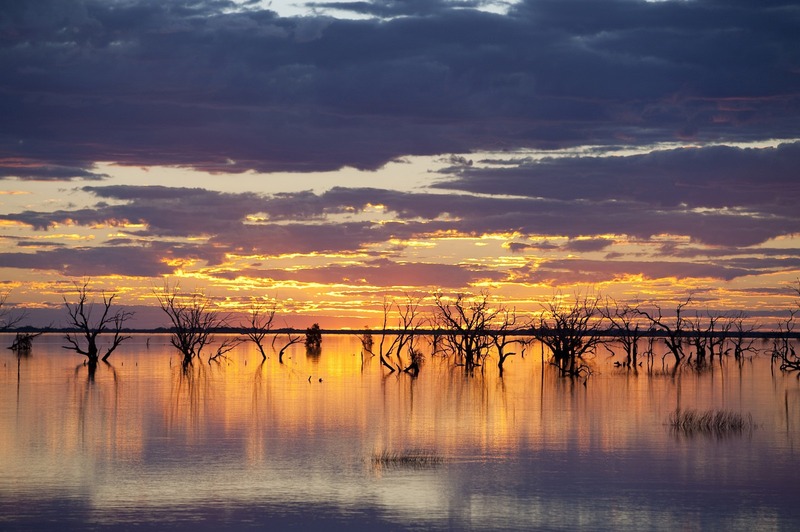 Depending on the season, Cooper Creek can be a large waterway flowing 1300 kilometres to Lake Eyre, or barely a trickle. This is where the journey gets very remote with several long legs, so be prepared. Travel north via Broken Hill to Tibooburra and then on to Thargomindah on the Silver City Highway. Then, take the Innamincka Road to the Cooper Creek Dig Tree. The men struggled back to Cooper Creek on 14 February with dwindling resources, exhausted camels and with Charles Gray sickening from dysentery. On 17 April, Gray died, and Burke and Wills spent an entire day burying him. Three days later, malnourished and extremely weak, Burke and Wills arrived back at Cooper Creek to find that the camp had been abandoned only hours earlier.